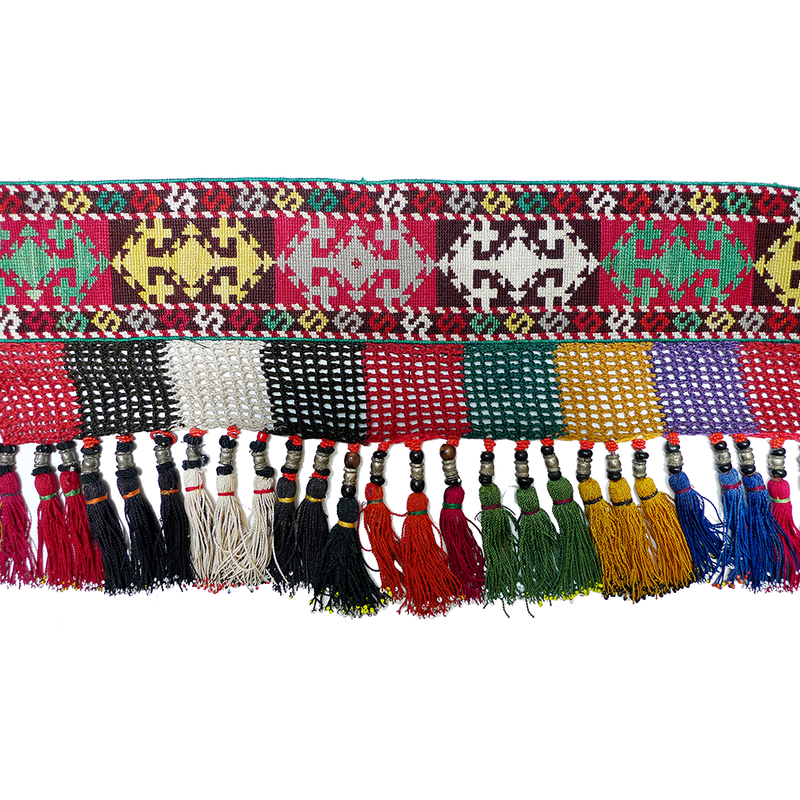 Segusha, or saye gosha, are V-shaped embroideries used to embellish the bedding stack (chuk). 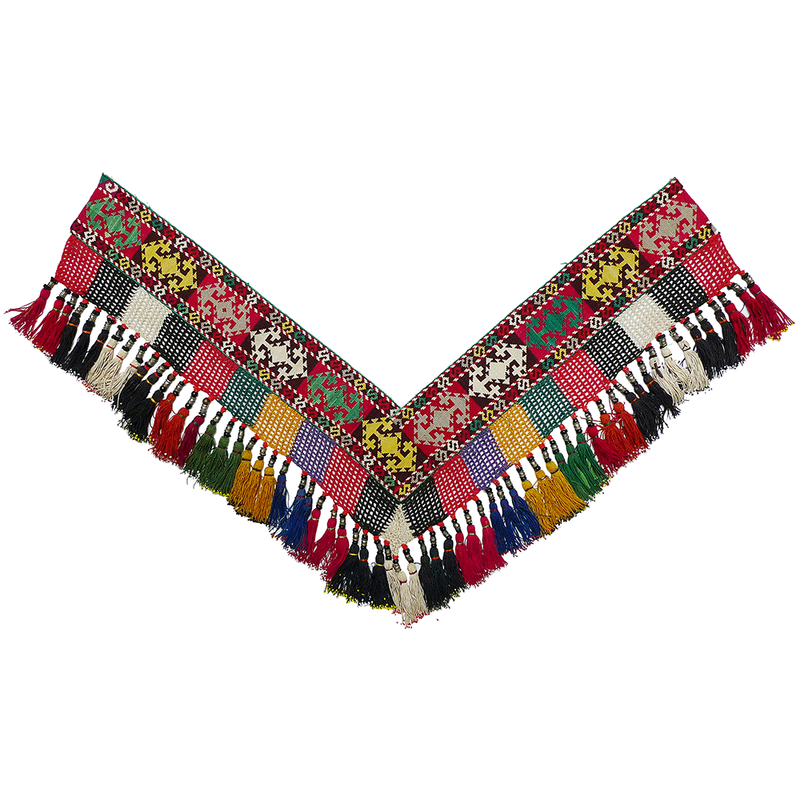 They were usually part of a larger piece of cloth that was laid between the quilts with the decorative embroidery hanging down in front. With time, the plain cotton or wool cloth (red was the preferred color) was often discarded and only the embroidery retained. The main motifs on this piece are “tumars” (protective amulets). 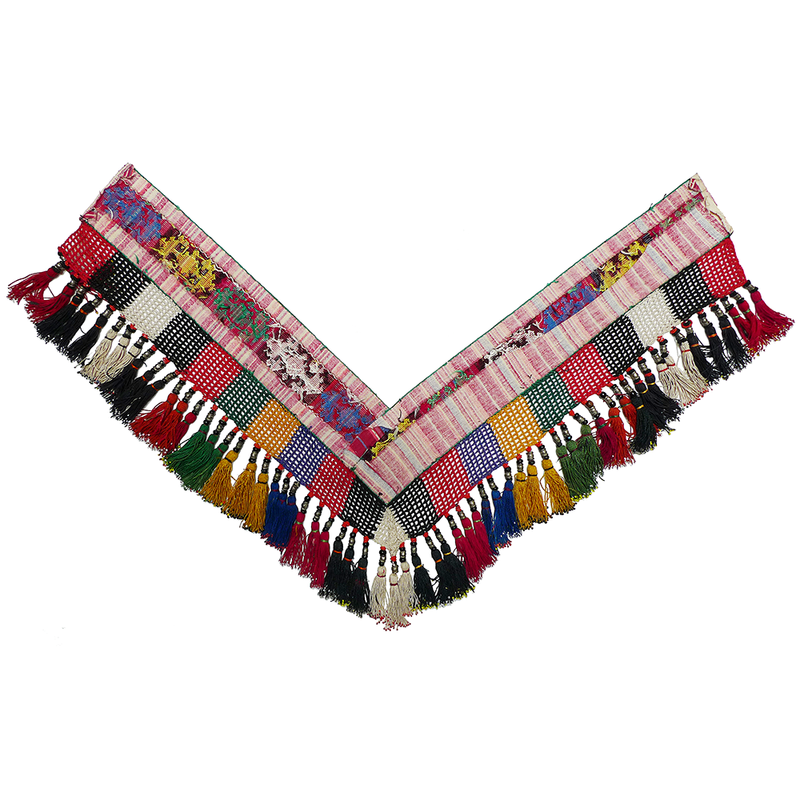 If you don’t have a “chuk” to embellish, this segusha would make a striking statement sewn onto the front or back of a cape or poncho. Also works well as a belly-dance accessory. If you are interested in this segusha and would like more information please contact Susan Meller.